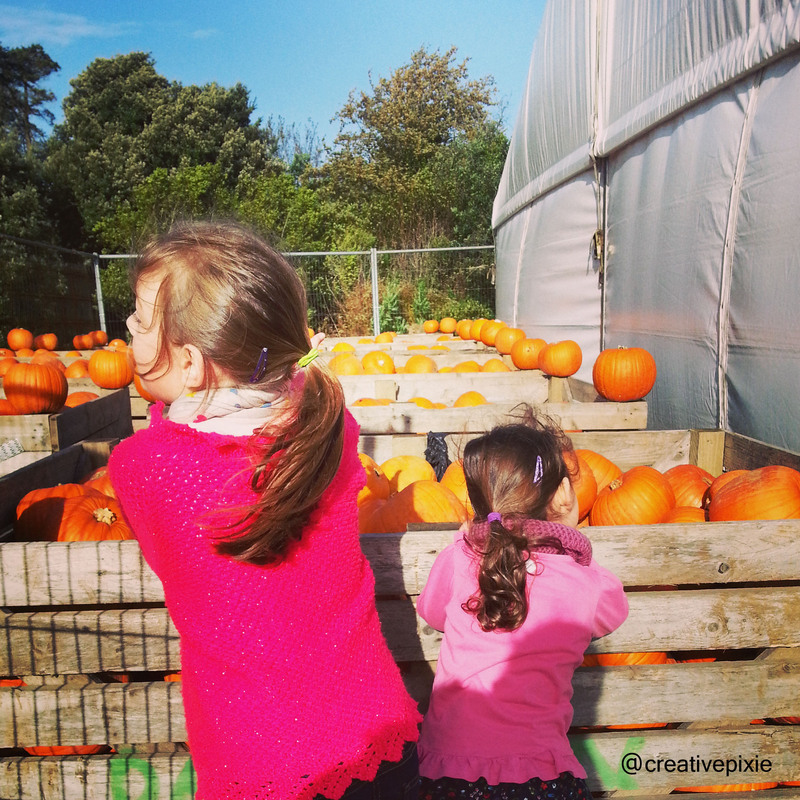 Last weekend saw the return of Pumpkinfest to Castle Ward. It’s an annual event which sees children (and big children) create their own personalised pumpkins to take home. 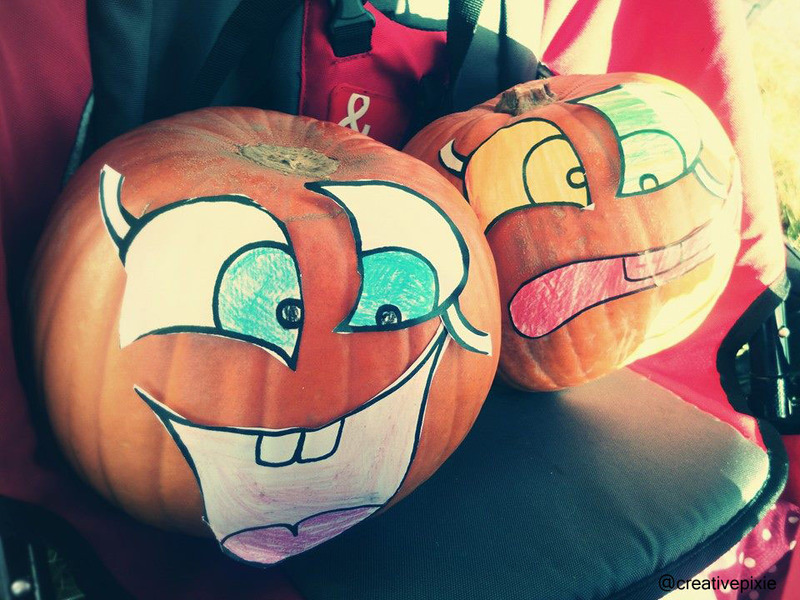 This year saw the introduction of cartoon pumpkins as well as the usual carved fare. My girls decided to go for this option instead of the carved one as last years pumpkins only lasted about a week before it had to visit the pumpkin patch in the sky (bin). We waited patiently for the event to open. Look at us – 1st in the queue! For the cartoon pumpkins the girls chose what features they would like, eyes and mouths. These were then coloured in, cut out and then stuck onto the pumpkins. I think the girls did rather well, even though we had to restick the features with PVA glue when we got home. Well hi sewchet! Yep, it’s an American thing. Although the jack o’lantern was supposedly brought over by Irish immigrants who had used turnips in Ireland and found our native pumpkins much easier to use. They are supposed to scare off the evil spirits or the dead on Samhain (sp?) or All Hallows’ Eve, depending upon the folk tale being told. A grain of truth is in there somewhere. Hello! It looks like your girls had fun. My child is too old to find jack o’lanterns fun, but I love them!